Peugeot has launched “Let Your Body Drive”, an international digital advertising campaign for the Peugeot 208. 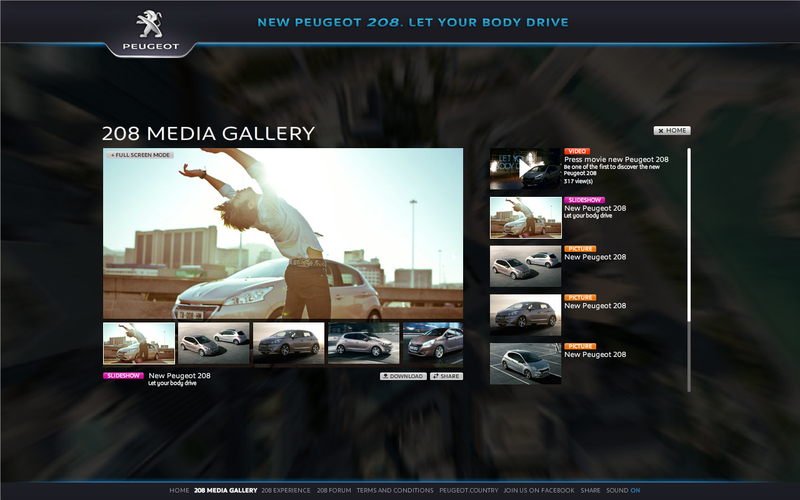 The campaign was launched with a physical unveiling of the car in which site visitors use their bodies as the key to reveal the car. Visitors to letyourbodydrive.com fly through the city to a special warehouse, activate their web cam and move their body in a variety of different shapes to see exclusives images of the car. 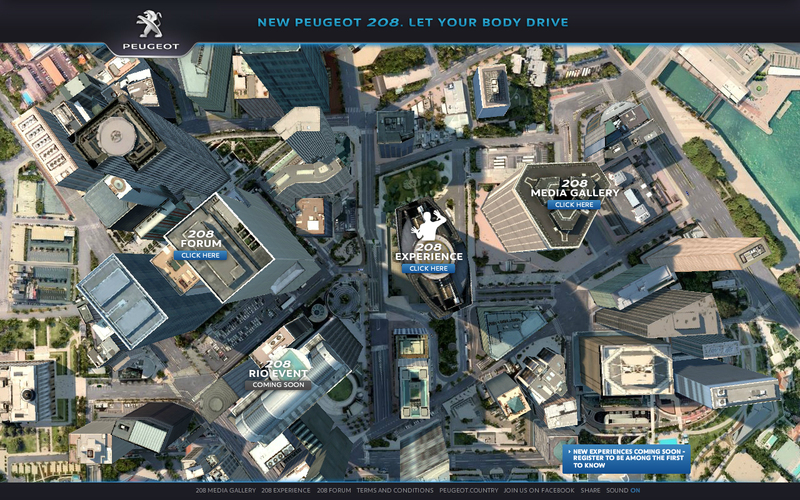 The Let Your Body Drive campaign was developed at BETC Euro RSCG, Paris, by agency executives Raphaël de Andreis, Xavier Blairon, Anyce Nedir, global creative director Rémi Babinet, creative director Anne-Cécile Tauleigne, digital creative directors Ivan Beczkowski, Christophe Clapier, copywriter Adrien Heron, digital strategy planner Ben Phillips, producers Sandrine Gérard and Maxime Huyghe, working with Peugeot marketing team Olivier Gandolfo, Nathalie Lemaitre, Anne Feninger, Arnaud Viot Coster and Aude Collerideborely. Site development was done by Anonymous. Music for the commercial is “The Dragster Wave” by Belgian band Ghinzu.